Mother is all the same in any animal. 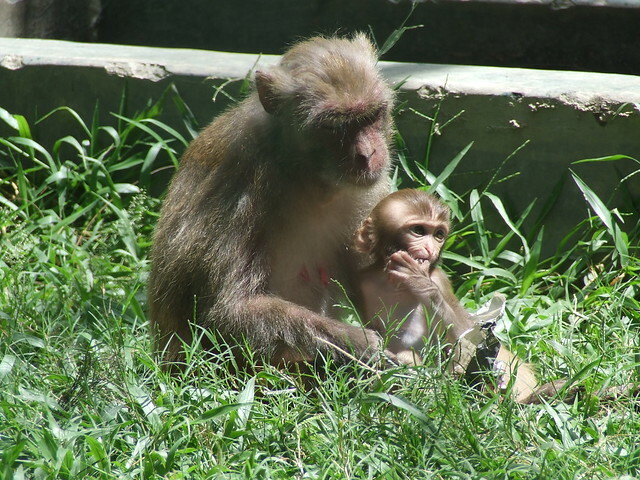 A mother monkey is feeding her child in the photo. It was taken from Jamuna Eco Resort on July 25, 2010 using a Fujifilm FinePix S5600.